As the cold grey and snowy days are finally starting to mellow down, it is officially time to get spring ready with some colour and pattern. Though it is not officially summer yet but the hot weather hues are the best way to get you motivated and started. 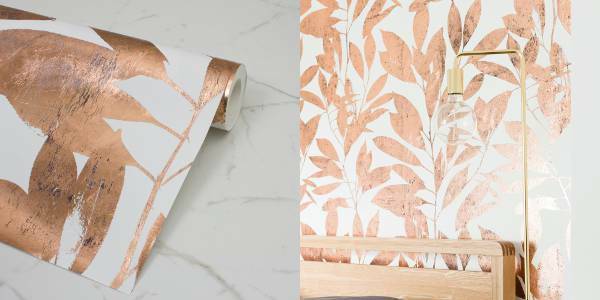 Whether it is adding shiny copper wallpaper to the accent wall, lining the drawers or adding a patterned pillow cover and vibrant phone case, the below mentioned 10 patterned pieces will get 2017 commenced on a colourful note. 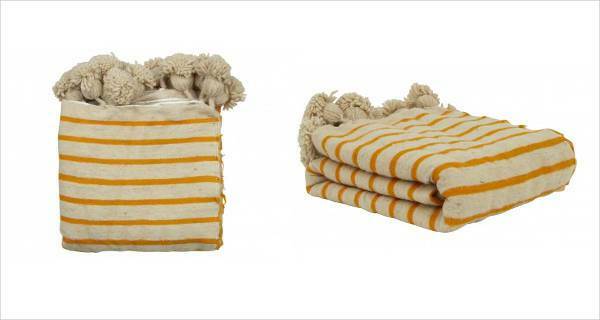 The pom-pom throw is handwoven in a workshop and the imperfect washing and bleaching process makes each piece unique and special. The throws are woven by two men working side by side on a single horizontal loom. Bring a pop of colour to your living room and bedroom with this pom-pom throw. 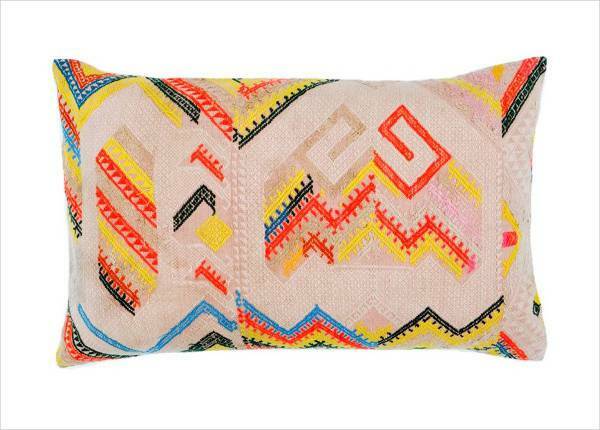 Featuring a beautiful pattern, the pillow is made from fabric sourced from the hill tribes of Thailand. Each made with a unique pattern, you will find no two pieces with the same elaborate embroidery in the primal tones. The blue splash artfully scattered across the large serving bowl makes up for picture perfect crockery base for your citrusy fruits. 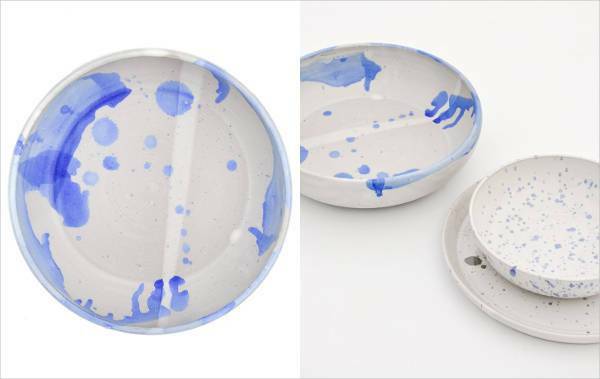 The bowl is dishwasher and microwave safe and is handmade in Texas. 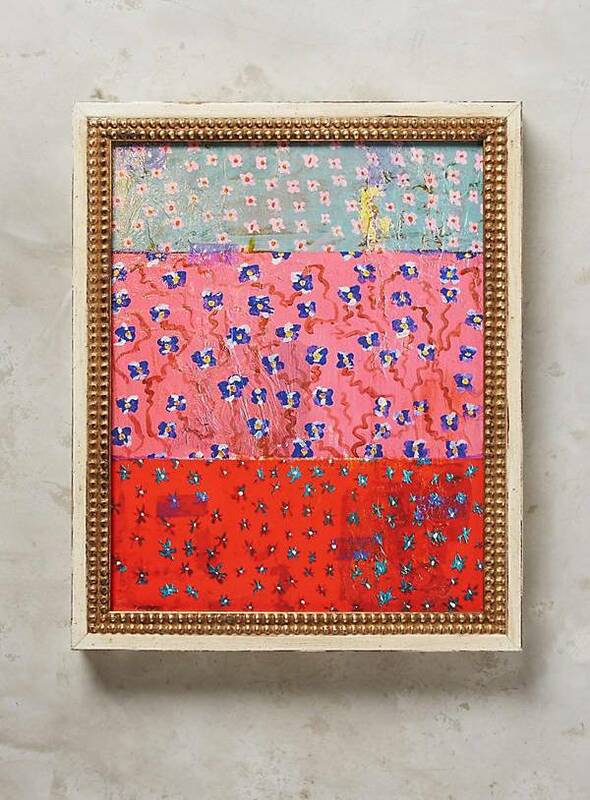 Taking inspiration from the rich artistic culture of the early 20th century, the mixed media style features varied textures and exuberant colors making the wall art influential and aesthetically rich in its presence. 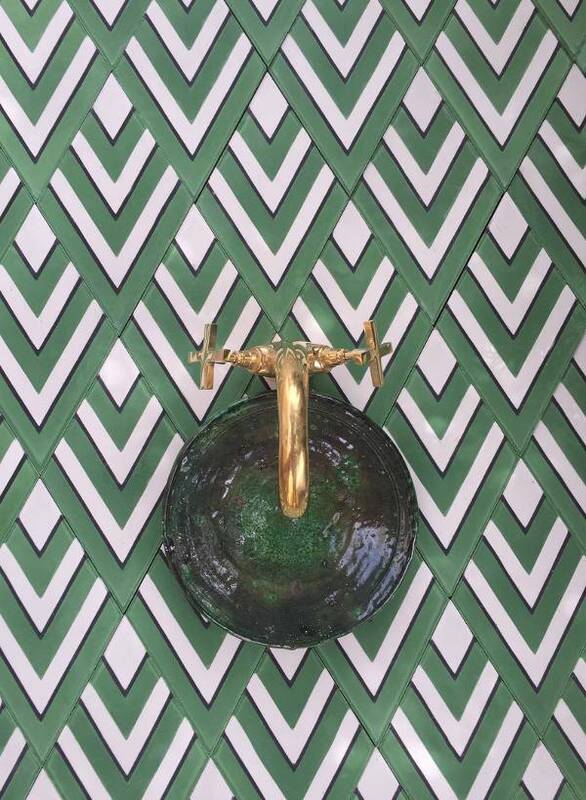 Pon Ham diamond chevron tiles in a beautiful natural green pattern will help to turn around the look of the subtle decor and also add an artistry touch to space. The bold oversized leaves in an antique and metallic tone will make the design of large eucalyptus stems look polish and royal in any style of decor. The elegant and rich composition in copper carries a custom hand foiled finish which will leave a lasting impact on the room. 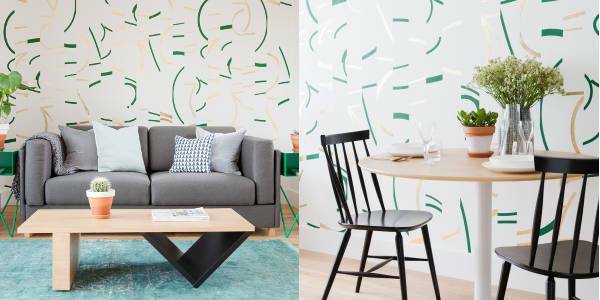 The abstract green design of the wallpaper reflects a creative and casual pattern which can be plastered on the wall from top to the bottom. The wallpaper is available in a number of color options on request. With green being the official color of 2017, nature-inspired tone with a diverse choice of prints has begun to surface on a range of decorative platforms. 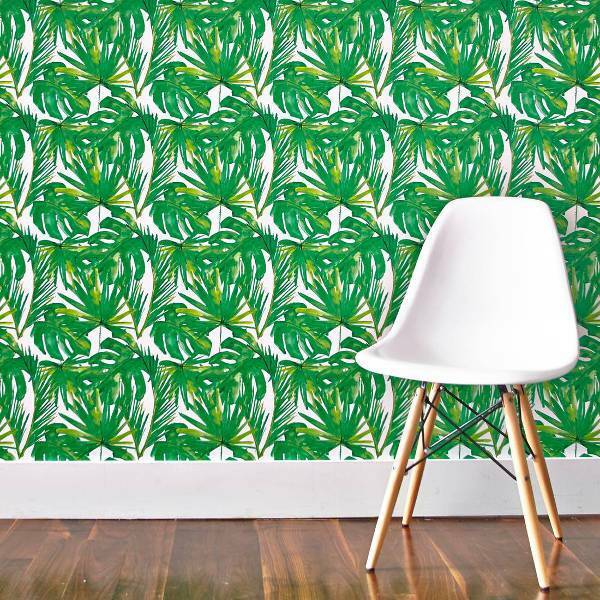 Incorporate this natural print with a touch of modernism. Enhanced with sharp and clean cut patterns, the geometric shape brings a distinct and clean look to the design. 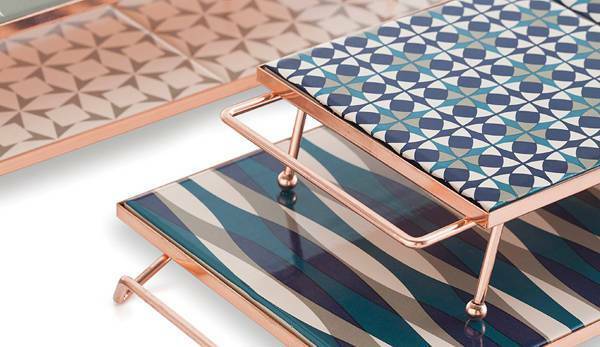 When matched with jewel tones, the look of geometric pattern comes out even more contemporary and classy. The fabrics used on seats cushions and carpets will see a lot of uniqueness in the terms of colour and abstract patterns. 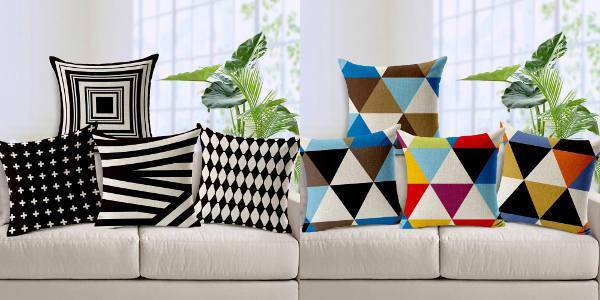 With spring approaching near, incorporate the bold patterns to make your home ready for the coming season of vibrancy and colors.